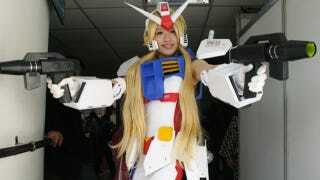 Gundam mecha aren't exactly easy to dress up as. It's tricky to reproduce that mecha armor—even tougher if you want to give it an original spin. For a while now, Taiwanese cosplayer Ran has been doing both. Whether it's Gundam RX79 or MSΖ-006 ΖGundam, she puts her own spin on the giant mecha, with heavy weaponry and heavy doses of cool.